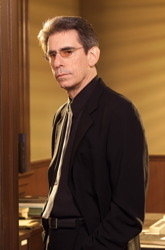 RICHARD BELZER is a stand-up comedian, actor and author. He is best known for his current role as John Munch on the hit NBC show, Law & Order: Special Victims Unit. He is also famous for his acerbic wit and astute political commentary: “90% of the American people believe there was a conspiracy to assassinate John F. Kennedy. The other 10% work for the government or the media.” He has written such books as UFOs, JFK, and Elvis (2000), and the novels I Am Not a Cop! (2009) and I Am Not a Psychic! (2010). Dead Wrong is a study of the scientific and forensic facts of four assassinations of the 1960s (President John F. Kennedy, Senator Robert F. Kennedy, Dr. Martin Luther King, Jr. and Black Panther leader Fred Hampton), as well as an examination of new and incriminating evidence indicative of murder, not suicide, in the deaths of Marilyn Monroe, White House Counsel Vincent Foster, U.N. Weapons Inspector Dr. David C. Kelly and bioweapons expert Frank Olson. It also examines the cases of two murders directly linked to Lyndon B. Johnson, 36th President of the United States. One of the clearest cases of a “national security” assassination in history: Forensic evidence reveals that the CIA’s Director of “Special Research” was knocked unconscious and then pushed through a 10th-story window in New York City. The so-called suicide was actually a textbook murder taken right out of the CIA Assassination Manual and was even used as an example of perfect assassination in Israeli Intelligence training. In a vivid example of future U.S. President Lyndon Johnson’s political clout, even a man shot 5 times with a bolt-action rifle is officially ruled a suicide. Another victim of LBJ, Krutilek also got in the way of Johnson’s political plans and also paid with his life. It is scientifically impossible that Marilyn Monroe committed suicide by swallowing pills, as most people mistakenly believe. The best combat sniper in history tried and could not match the shooting attributed to the alleged killer. Why? Because it never happened that way to begin with! Ballistic and forensic evidence prove that Martin Luther King could not have been shot by the man in the location that the Official Version purports. According to the U.S. Government, Senator Robert F. Kennedy was killed by 14 shots from an 8-shot gun, and at point-blank range by a man who never got that close. And they didn’t let the facts stop them from prosecuting the wrong man. 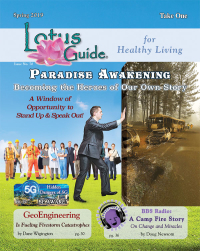 Was murdered by a special police unit -- and ballistic and forensic evidence prove that beyond a shadow of a doubt. He was totally unconscious during the entire police raid – but that didn’t stop the government from lying about it. We can’t say with certainty how Vince Foster was killed but we can say with certainty that the Official Version is dead wrong. The forensics tells us he was shot with a gun different than the gun found in his hand and at a location other than where his body was found and that his gunpowder burns were defensive. One of the smartest people on this planet was asked what would happen if Iraq is invaded and he answered with seriousness: I’ll probably be found dead in the woods. Iraq was invaded and he was found dead in the woods. Now would you say that’s a red flag? But we’re expected to believe that this brilliant individual marched off into the woods to kill himself, armed only with an old pruning knife that had a very dull blade. Yeah, right. Sure he did.